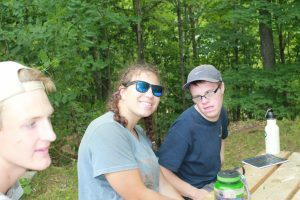 With Christmas and New Year’s rapidly approaching it is easy to get caught up in the material things and feel pressure to “keep up with the Jones’”, with this in mind, I have been thinking about gratitude and about camp. Though to be completely honest, those are two things I think about a lot on any given day of the year, they are just more prominent thoughts in a season where there is a sense of urgency and less time to slow down and take time for ourselves. Of course, I am grateful for camp, this is not a surprising fact, but to break down how gratitude and Cairn are linked I’d have to take you to the beginning of my camp journey. I always went to summer camps, by always I mean since I was eight. Not Cairn though, I went to three other overnight camps, one of those for about five years, before I found Cairn. My first summer at Glen Mhor, I was 14 and in Pre-LIT. I left those two weeks knowing that something inside of me had fundamentally shifted. Could I tell you what it was? Nope. Could I tell you now? Nearly 6 years later? Absolutely. At the end of the summer of 2011 I told my mom, “I don’t know, everyone is just so much nicer at Cairn”. I was really trying to grapple the concept of gratitude as a verb but hadn’t figured it out yet. When we think of gratitude we think of what we are thankful for in our lives. Technically, this isn’t the wrong definition but Oxford Dictionary has a bit more of a grasp on the different elements of gratitude. The official definition is, “the quality of being thankful; readiness to show appreciation and to return kindness”. That second half of the definition is what camp is about, returning our thanks. As staff we keep Gratitude Journals, each day we fill in four categories; what we’re thankful for, what we’re proud of ourselves for, a goal for the next day, and how we saw God on that day. These four steps are what can take someone from simply being grateful, to someone who demonstrates gratitude. When we are given things to be grateful for it is a gentle push forward to act on those things. So gratitude becomes a verb, it’s an action, a movement, even a way of life if we want to be a bit cheesy about this (seriously though, you can research it, gratitude makes you happier, there are TED talks and a million articles to prove this). Other than the obvious way that staff learn gratitude at camp, it is so ingrained in our culture that anyone who steps onto site can feel it. Suppose I saw the sunrise with my friends one morning during Leadership Training, before the summer started. I would say this is an impactful event, something to be grateful for even. It’s a bonding experience with people I love, centred on something beautiful. So I want to share it, I want others to experience this magical moment, take a cabin a week or two later and recreate that, you’ve just demonstrated gratitude. You had something you were thankful for and you acted on it by sharing it with others. Demonstrating gratitude at camp can be much more subtle than that too. I’ve heard one story from various people who each told it a little bit differently but they’re all stories of gratitude. This is the story of the Staff and the Future Staff. Nearly everyone has that one staff member that changed their lives, they all did something that amazed a camper. These things vary but they are events that stick out in that camper’s memories. 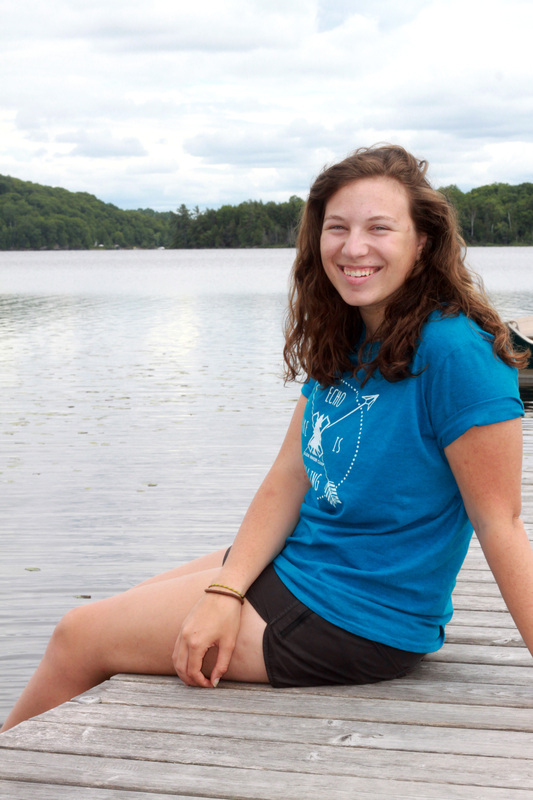 That camper becomes old enough to be on staff and is still thinking about that life changing staff they used to know. From here they all talk about how they want to be that person for someone else. At Cairn we put back in what we get out, we demonstrate gratitude for each other. The simplest demonstration of gratitude here is that at the end of the summer we go home and want to continue being our camp selves, or we even try to embody the traits of those that we spent the summer with. We all are grateful to call Cairn our home and try to live with that inside of us during the year. I am thankful for the glass effect the water of Echo Lake creates in the early evening. I am thankful for camp friends who I know have my back no matter what. I am thankful for campers who have changed my life just by being who they are. I am thankful for having the opportunity to develop my faith. I am thankful for laughing until my stomach hurts with people I love. 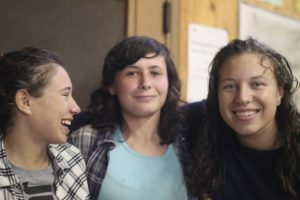 By writing these here I have just made a public promise to act on them and demonstrate my gratitude (kind of intimidating to be honest, but camp has taught me that’s okay too). So Merry Christmas to my Cairn family, I hope you all find new ways to be grateful this month!